After 10 years in the US, my homesickness finally sparked the idea to open a Bavarian Biergarten. As it is impossible to find a garden space in New York City, I started forming trees in the location now known for the last 14 years as "Zum Schneider" Bavarian Indoor Biergarten, on Ave. C @ 7th st..
We brought 100 year old Beerhall chairs over from Munich and my father built by hand the communal tables where you can enjoy the most authentic home cooked German-Bavarian food and beer in NYC. Authenticity and culture are the forces behind the events, shows and festivals we host for our customers year round. At Oktoberfest, Mai-Fest, beer tastings and private parties, customers dance, clap and sing along with our energetic house band Moesl-Franzi and the JaJaJas, enjoy seasonal beers and specials like “Spanferkel” (suckling pig on a spit). At Christmas we host our very popular “Adventsingen” (Christmas carol singalong) with Gluewein (mulled wine), Stollen (German Christmas cake) and traditional German Christmas goose. 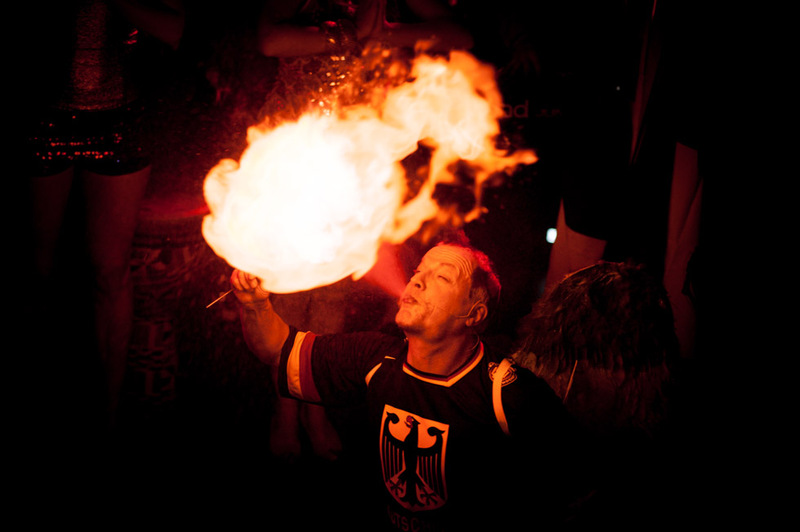 The most spectacular of the events is the annual Karneval (Mardi Gras) where the restaurant gets transformed into a fantastical Cabaret space with live performances – even real fire might be involved. As a German Restaurant you gotta have your own soccer club. Since 2003 we are playing throughout NYCs leagues with our very own “Zum Schneider FC ’03”. Almost all the fun you just read about you can find at our second location in Montauk (Long Island) which we opened in 2012. All in all, life with enjoyment for body and soul is what’s celebrated at Zum Schneider year round.